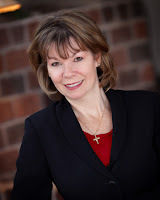 Leanna Ellis to share about her most daring fiction foray to date. Thanks so much, Jennifer, for having me here today at Inkwell Inspirations! Forsaken, my latest book, actually began as a joke. I was at a book signing and another author and I made a joke about we should write an Amish/vampire story because those were the two genres that were selling so well. Well, it really was a joke. I didn’t rush home and start writing the book. But I suppose some seed was planted in my warped little brain and took root. Soon a character was speaking to me about her story and wanting me to write it. I resisted. But there was a very intriguing element that I couldn’t seem to ignore. To me, this was a Phantom of the Opera type story, with a love triangle, and a clear dividing line between good and evil. So I wrote the prologue and first chapter. Then I set it aside because I was busy meeting other deadlines. Besides what was I to do with an Amish/vampire story? I mentioned it eventually to a couple of writer friends. They laughed but in a good way and encouraged me to write it. Well, I wasn’t so sure although I was becoming obsessed with the story. I spent a lot of time in prayer over this book, because I don’t want to write something that God doesn’t want me to write. Also, I knew I’d have to leave the Christian market and sell it in the secular market. I wasn’t about to make that move without God’s clear direction. And he began to show me in more ways than one that this was the book He wanted me to write. More than a year passed, and I was at a writer’s conference minding my own business and not pursuing this story at all. An editor said the perfect submission would be…you guessed it! An Amish/vampire story. So I made an appointment to meet that editor and just talk about the idea. It almost felt like when an addict first admits she has a problem. I felt like I was teetering on the edge when I said, “I’m a writer and I’ve written an Amish/vampire story.” Well, she requested it. Uh-oh! I hadn’t even mentioned the idea to my agent yet. So I ran into her in the hallway and told her quickly. She laughed. In a delighted way because she loved the idea and she loves how my wacky brain works. Honestly, it is so nice to be appreciated rather than given a wide berth. What I love about this story is that it shows the battle of good and evil. Evil doesn’t always appear with pitchfork and horns. Quite often, evil is appealing and attractive and hooks us in before we realize what has happened. Such is the case with my heroine Hannah. She simply loved a boy. But she opens her heart and her mind too easily and the consequences could be devastating. Even though this story is published in the secular world, it has a powerful spiritual message, a message the world needs to hear. Hannah Schmidt, a young Amish woman mourning the mysterious death of her beloved Jacob, must decide between two brothers, between good and evil. When she learns her first love is now the vampire Akiva, she must forsake him and cling to a new love, a lasting love, one that will save her soul. If you’d like to be entered to win a copy of Forsaken, just leave a comment on this blog. I’ll pick a winner at random on Friday, August 12th. NOTE: This time round, US addresses only. Please leave an email address so I can contact you if you're the winner. (To prevent spammers from trolling for your email, please use this format with the brackets--you [at] yourmail [dot] com--or something similar.) Good luck! I haven't read a lot of Amish or Vampire fiction but, this one? I definitely want to get my hands on it. You and your friend were not the only ones teasing about Amish Vampire books but you're the one who was smart enough to do it! Congratulations! Thank you for visiting the Inkwell today and may God bless your writing and this book to touch new hearts! i'm not particulary interested in vampire stories, although there is one author who created a vampire with redeeming qualities. the idea of the amish vampire story is one i'd read about on blogs - as a joke. i think it's a testament to your creativity that you took that joke and ran with it all the way to a completed manuscript. way cool. it would definitely not be the run-of-the-mill vampire book and therefore one i'd be interested in reading. thanks for sharing about your journey for FORSAKEN's creation. Leanna, thanks for visiting us today. I'm going to be late for work because I was so fascinated reading about this. I don't read vampire books as a rule, but like everyone else today, I'm definitely intrigued and will read this one. Btw, who is the publisher? Thanks! Hi Leanna! We have something in common...I just did an Amish paranormal (mine is with UFO's)! Congratulations! I hope your book does great! Welcome, Leanna. I'm right there with some of the rest of them here... vampires aren't my normal fare as I tend to pick cowboys, but I like the gentle ways of the Amish. So really, Forsaken sounds like the ultimate violence vs pacifist story as well as good vs evil. Good on you for having the courage to carry this project through to completion. Yay for tenacity! I think it's so cool that you took a "what if" idea and ran with it. I have this book and can't wait to read it. No, I don't typically read vampire or Amish stories, but this just sounds so imaginative, I can't wait to dive in. Hi, y'all! First, thanks so much for having me here today! I've enjoyed reading all of your comments. Hi, Debra! That's funny that so many others were joking about Amish and vampire. I've never been one to be able to write in-the-box or think in-the-box. It's probably one reason I left writing category romance. My ideas grew and couldn't be contained by a list of rules. I'm not sure I'd ever be able to write a traditional Amish book. And well, I guess I wouldn't be good at writing a traditional (if that exists) vampire one either. Publishers so often want books that fit neatly into a category or genre. Not me! LOL! Thanks for your interest and enthusiasm about my book! Hi, Victoria! LOL! I was standing in the bookstore the other day and there was a book about Little Women, forgive me for not remembering the title. But of course it had taken the first line of the original--Christmas won't be Christmas without any presents--and changed it to--Christmas won't be Christmas without any corpses. I laughed out loud in the book store. Thanks for the enthusiasm about my book! Hi, DebH! 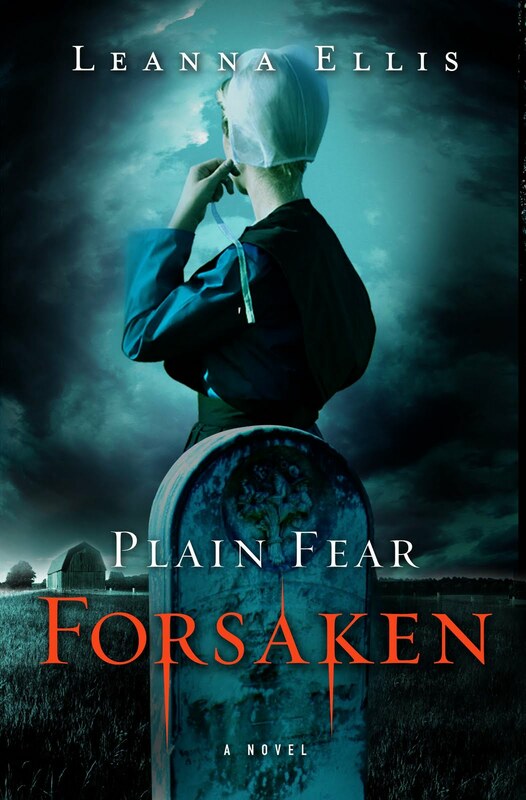 I would definitely say that Forsaken is not the run of the mill vampire or Amish story. ;) The trend lately in vampires has been to make them the good guys, the heroes. Mine is a lot like Phantom of the Opera. Thanks for your interest and enthusiasm too! Hi, Dina! So often a theme of a book will be the reason why I choose to read a book, not the genre or subject. Very interesting that you honed in on that too. Thanks for your interest! Hi, Suzie! Oh, no! I hope you weren't late!!! Or that you have a forgiving boss! ;) My publisher is Sourcebooks. They are an ABA (American Booksellers Association) publisher, which simply means secular rather than CBA (Christian Booksellers Assoc). Thanks for risking your job (hopefully not!!!) to read about Forsaken! Leanna, I was only 2 minutes late and I didn't break the speed limit. :-) Also, I have the most wonderful boss. I'm so excited to tell you that I found the book on Barnes and Noble and downloaded it to my nook. I can't WAIT to read it. I did read the first chapter before I started my schoolwork, and I hope I can spend all day Saturday reading! Vampires and the Amish in one book? I though I heard it all! This book sounds terrific and interesting and the trailer was wonderful. You can't go wrong with Leanna Ellis, so I'm sure I would love to read this book. Please enter me in the drawing. Thank you! Marlayne, That's sooo cool! Congrats on your book. I wrote a book with UFOs but it had no Amish in it. I went to Marfa, TX (a VERY long drive) to research Once in a Blue Moon. Had such fun writing that book! Best wishes on yours. Hi, Anita Mae! Oh, I love cowboys too! Many of my early novels were about cowboys. Levi, the Amish hero in Forsaken, is not a cowboy but he has many of those qualities we like: strong, confident, and handsome, of course. ;) And since you're an 'Inky', thanks for having me here today! Hi, again, Suzie! So glad you weren't too late and no speeding tickets! That's great that you have such a great boss! And you found Forsaken! Love it!!! My son has a Nook and really loves it. My iPad allows me to use ibooks, Kindle or Nook apps, so I really like that too. But sometimes I just gotta have the actual book in my hand. ;) So hope you enjoy the book! Let me know! Hi, Carly! I love the different reactions I get when I tell people about my book. They often laugh then lean forward, "Really?" Really. I'm usually laughing along with them b/c I know it sounds crazy. But it was sooo much fun to write! So glad you're intrigued and interested! Hey all, sorry I wasn't around today... just got my son home from the hospital yesterday, so today was mostly spent just being Mom and helping him out. A HUGE thanks to Leanna for hanging out. What fun! Hey, Jen! There are days like that where you just gotta be mom! Hope boy is doing well! Thanks again for having me here today! Leanna,welcome! I enjoyed reading about the new release :-) and such a unique premise, too. I actually read the Austen/zombie book noted by a poster above, it was cleverly done - and I don't even read horror! Would love to win a copy of Forsaken. jenna[at]jennavictoria[dot]com. And the winner is... Carly Berd! Congrats, Carly. I'll be sending you an email for your mailing info. Thanks to all who stopped by, and an extra-big THANKS to Leanna Ellis!